I bought my daughter a pair of super high boots for her Halloween costume and she decided she likes to wear them all of the time. 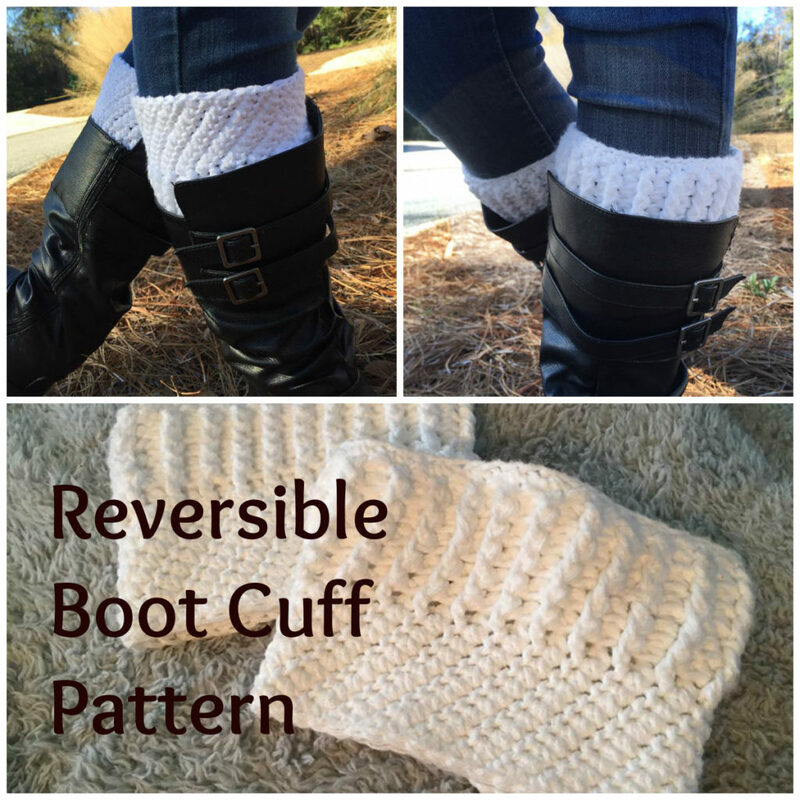 Thanks to the current popularity of boot cuffs, she tried on the various styles I had crocheted. They were all too frilly for boots that already make a statement. I made up this reversible boot cuff so that she would have an additional, but classic choice. I love the bird stitch so much that maybe I’ll use it in a matching scarf and hat! Gauge: doesn’t matter for this pattern. See measurement instructions. Measure just above boot for circumference. Subtract .5” for width of cuff. 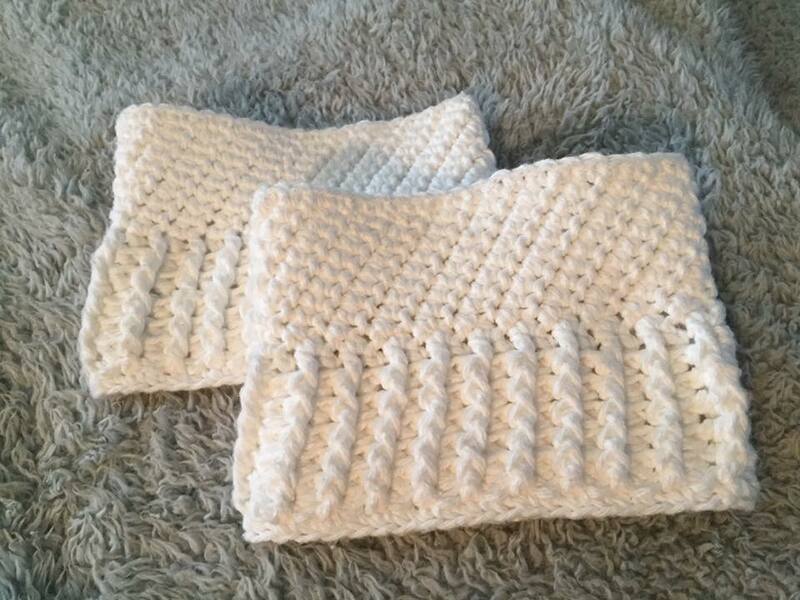 We use sales of patterns and crocheted items to assist with homeschool costs. Thank you for supporting my family! You can find this pattern on Ravelry. You may link in this way: Birdy Reversible Style Boot Cuff Crochet Pattern by Hannah at brightsideis.com.